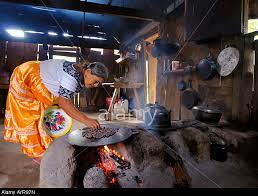 Within and around San Ignacio you will find a melting pot of culture, language, and ethnicities. Here you can enjoy the sights and smells of the weekly farmer’s market which draws vendors from around the district with a variety of street foods such as pupusas and quesadillas, fresh coconut water, tropical fruits, fish and free range meats and a variety of crafts. 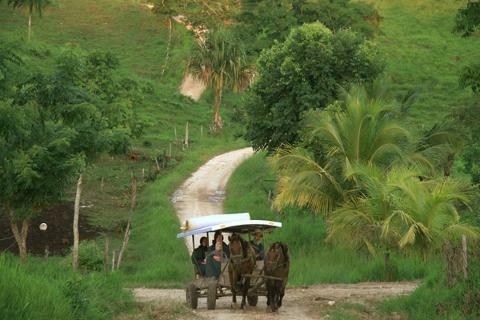 There are approximately 10,000 Mennonites living in Belize. Although originally of European descent and heritage, many Mennonites have been born and raised in Belize, creating a unique blend of culture and spirituality. The Mennonites are much like the Amish, living a humble and religiously pious lifestyle. The Mennonites of Belize are peaceful, hardworking people and the more remote communities of Barton Creek retain a very traditional and simple way of life, relying on their knowledge and strength to farm and survive in the jungle with few modern amenities. Belizean Mennonites speak a dialect of German as well as the local languages or English, Kriol, and Spanish. The communities are very conservative and the women wear bonnets and long dresses while the men wear denim overalls and hats. The men may wear traditional suspenders and dark trousers. They use horse drawn buggies for transportation and till their farm fields with horses. In the most remote communities they still use horses to drive their sawmills. The Mennonites of Barton Creek are very restrictive on their use of machinery and they produce many agricultural crops without any modern machinery. They are highly productive people and they produce honey, milk, eggs, poultry, beans, and other staple crops. Often confused with the Amish, the Mennonites are actually their own distinct religious group with strict Christian principals and their own language. They have many traditions and practices that date back hundreds of years, including arranged marriages. Come explore this fascinating and reserved culture on a trip through the jungle and back in time to how things were before cell phones, cars, iPads, and even before electricity. This is a beautiful and productive community with various cultural activities throughout the year, especially in the months of June and December. June 13 marks St. Anthony Day and villagers celebrate for 13 days with traditional Maya music, food such as tamales, and traditional festivities. This is mainly an agricultural community and the local residents grow crops such as peanuts, corn, squash, and beans, much like their ancestors. There are currently three Women’s Groups in San Antonio. One group operates the community bakery, the other specializes in pottery, local jewelry and embroidery, and the most recent group is making hammocks, embroidery and clothing. Tour this lovely village and get a firsthand look at living Maya culture. 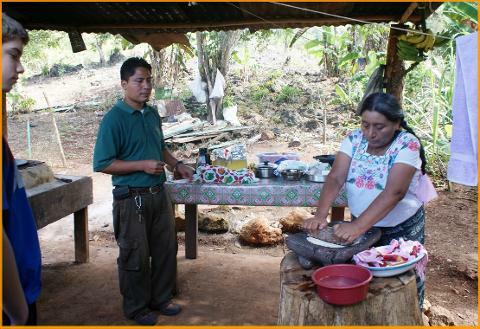 Local Maya lunch included with your tour. Get a firsthand look at these cultures as local village representatives provide demonstrations of traditional farming, cooking, and lifestyle in both communities.